On September 6th 1967 a marriage was arranged between Hercules AC and Wimbledon AC to form Hercules Wimbledon Athletic Club. 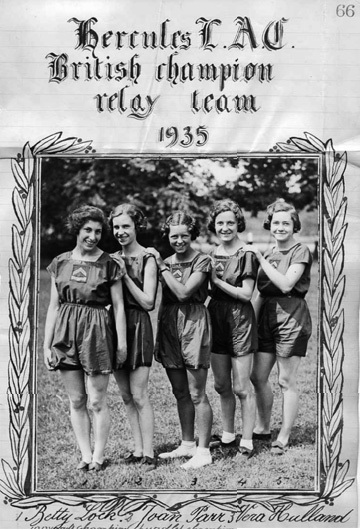 Hercules Athletic Club began as Hercules Ladies Athletic Club, which was formed in Streatham on October 4th 1933 for ‘the furtherance of womanhood in athletics’. Their colours were navy blue and scarlet. The word Ladies was dropped from the name in February 1936 when male athletes were admitted. Wimbledon Athletic Club was first formed in 1938 but foundered when war broke out. It was re-formed in 1953 following the opening of the new £8000 running track at Wimbledon Park the previous year by former Olympic hurdler Lord Burghley. The original black and blue hoops on the club vests later changed to blue and yellow hoops. The new Wimbledon Park track – what crowds! 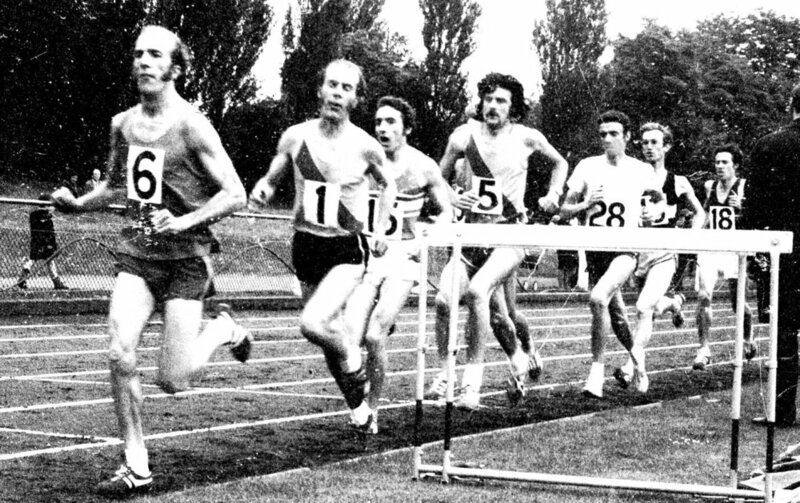 On September 16th 1967 the first ever Hercules Wimbledon AC men’s team took part in the Blackheath road relay. The winning ‘A’ Team consisted of the incredible Holt twins, Bob and Dave, club legend Pete Mulholland, Bob Rayman, Ron Symons and Kevin McBreatery.